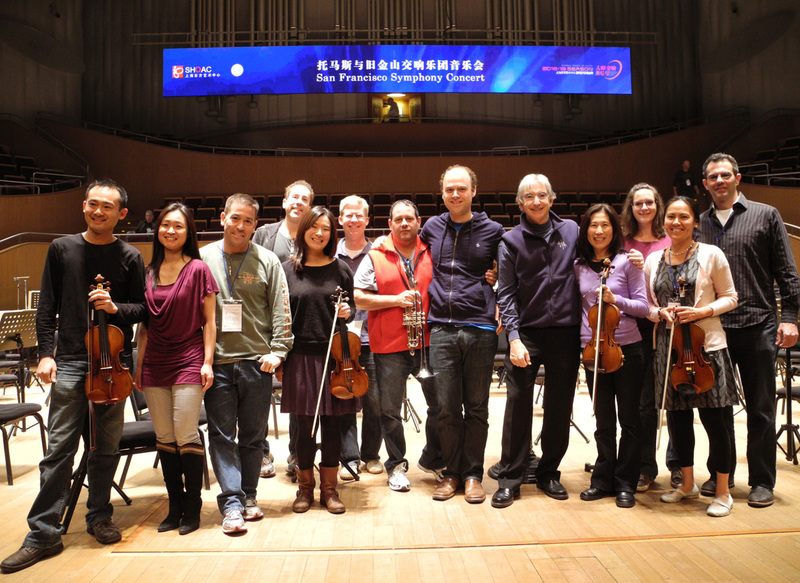 San Francisco Symphony 2012 Asian Tour: SHANGHAI ! Shanghai, one of the world’s most dynamic and fastest changing cities welcomes the Orchestra with its fast paced, massive urban growth, soaring monuments to hyper-capitalism, resulting gridlock traffic, but ultimately and undeniably an international city. In this, the world’s largest city, at 23 million and growing fast, one can still find the glamour of days gone by along the Art Deco Bund neighborhood and the colonial boulevards of the French Concession. But here it is all about the present and the future, showcasing one of the fastest economic expansions the world has ever seen. 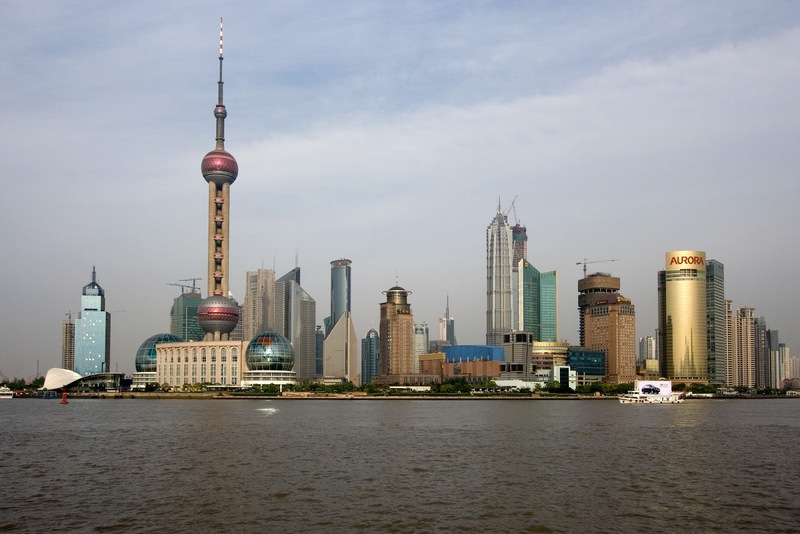 The centerpiece of this torrid population and economic growth is the Pudong district and its gleaming skyscrapers across the Huangpu River, which only a few years ago was mere marsh land. 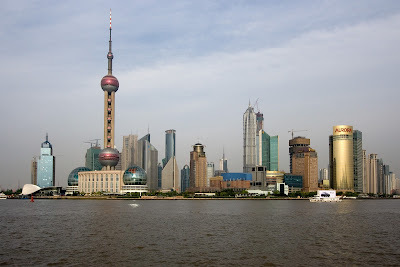 A few bits of old Shanghai have managed to survive amidst the almost fanatical construction boom. 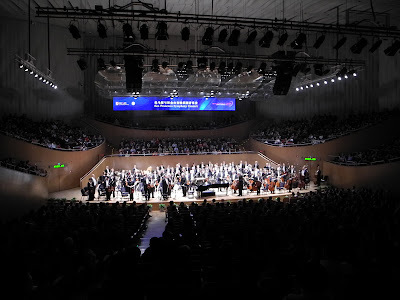 The Orchestra is in Shanghai for the second time in its 100 year history The SFS made its debut here six years ago in 2006, although in those concerts at the Grand Theater. 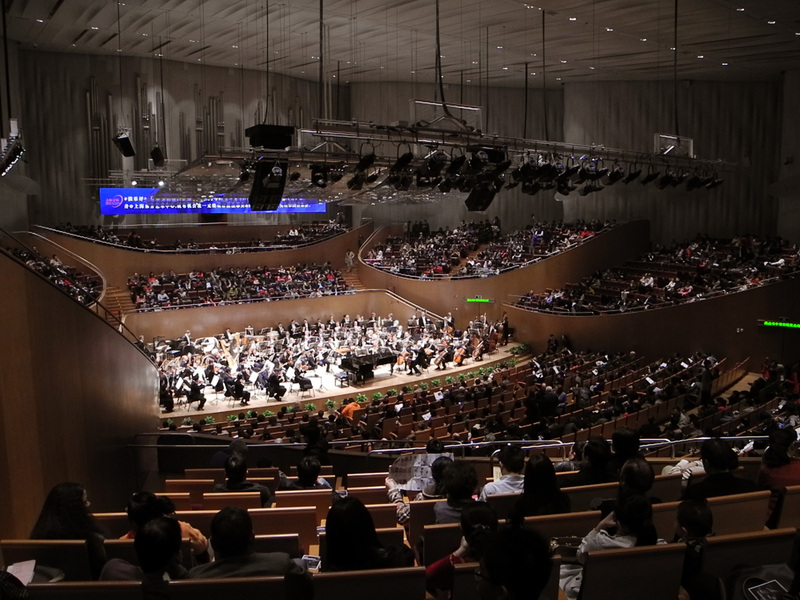 This time around, performances are in the Pudong side of Shanghai at the 2005 constructed Shanghai Oriental Art Center, a massive structure of glass and steel. 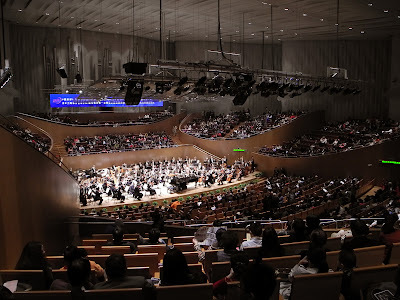 The Shanghai media has anticipated the arrival of the Orchestra for some time, coupled with the popularity of Yuja Wang in China, the SFS appearances have generated a great deal of buzz. 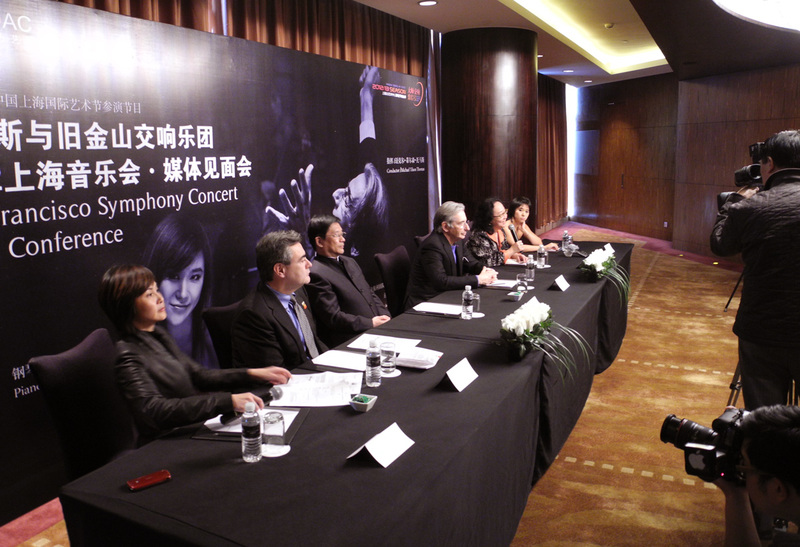 A press conference on the Orchestra's first day featured MTT, Yuja Wang and SFS General Manager John Kieser. 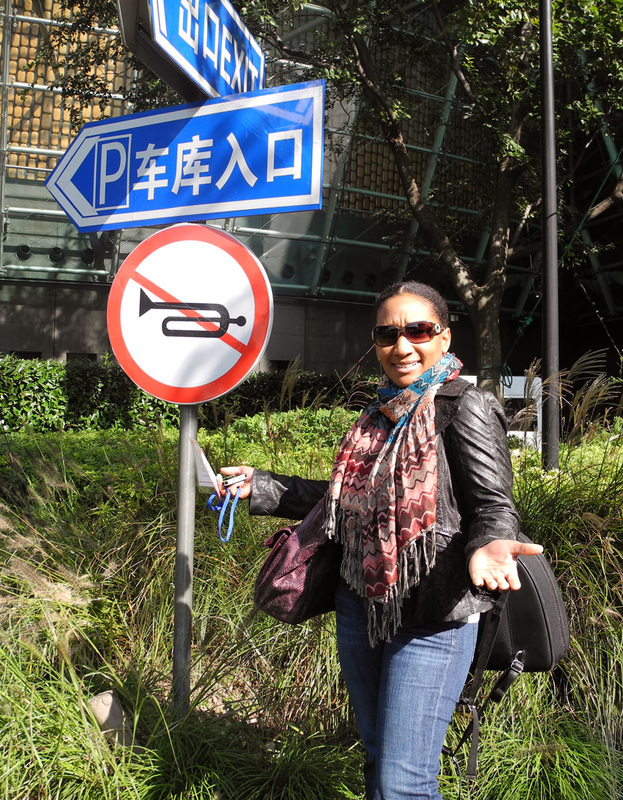 Upon arrival, Associate Principal horn Nicole Cash is a bit confused about the signage, wondering how welcome the brass players really are here. 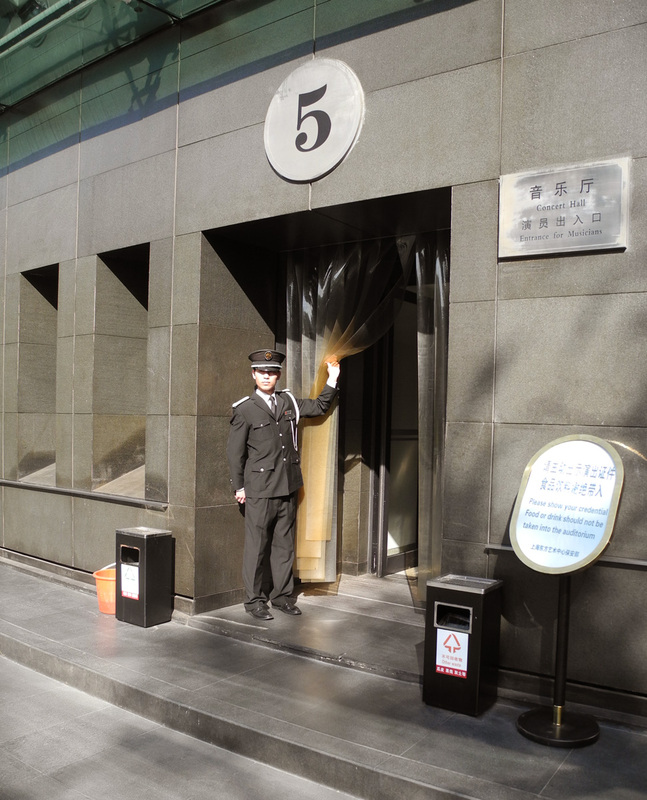 But no worries, Nikki, all are welcomed in by the very official looking security personnel at the backstage entrance. But smiles cost extra. 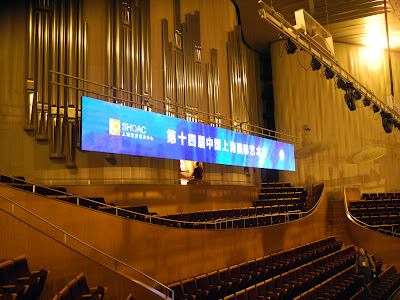 Inside, organist Jonathan Dimmock feels safe and secure and extremely well branded behind the giant electronic signage inside the hall, in case patrons forget where they are during the show. Ingenious. MTT gathers up a few musicians for a photo on stage in Shanghai. Aside from all being very happy to be touring Asia with the SFS, they all share one other characteristic: they all happen to be alumni of the New World Symphony, the Orchestral Academy led by MTT in Miami. After rehearsal, lunch. 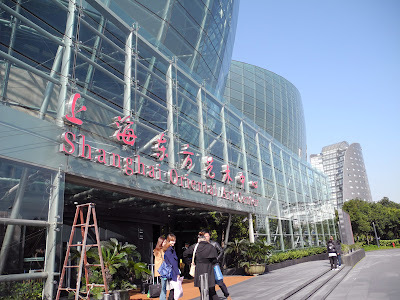 When in Shanghai, it's time for dumplings and Shanghai noodles. 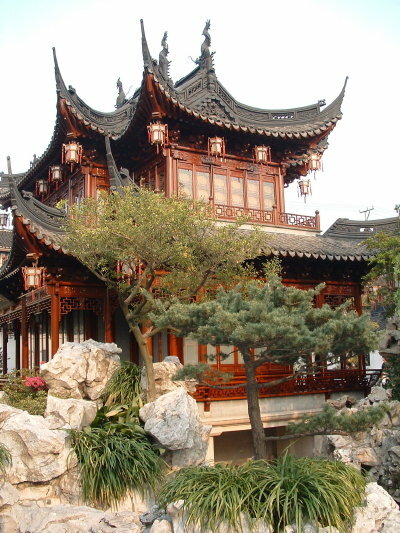 A little bok choy, some tea. Nutritious and delicious ! Ready for Mahler. 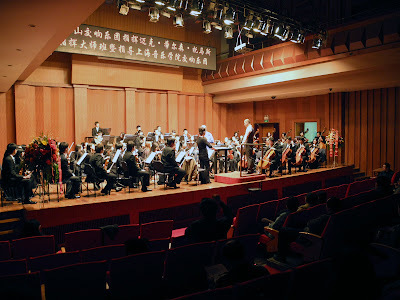 Many members of the Orchestra and staff as well as MTT also spent a day at the Shanghai Conservatory of Music, the oldest in China. 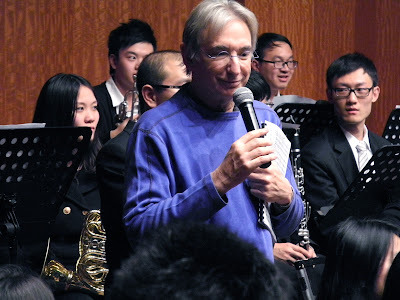 See trombone player John Engelkes' photo essay on connecting with the young musicians of Shanghai soon !. 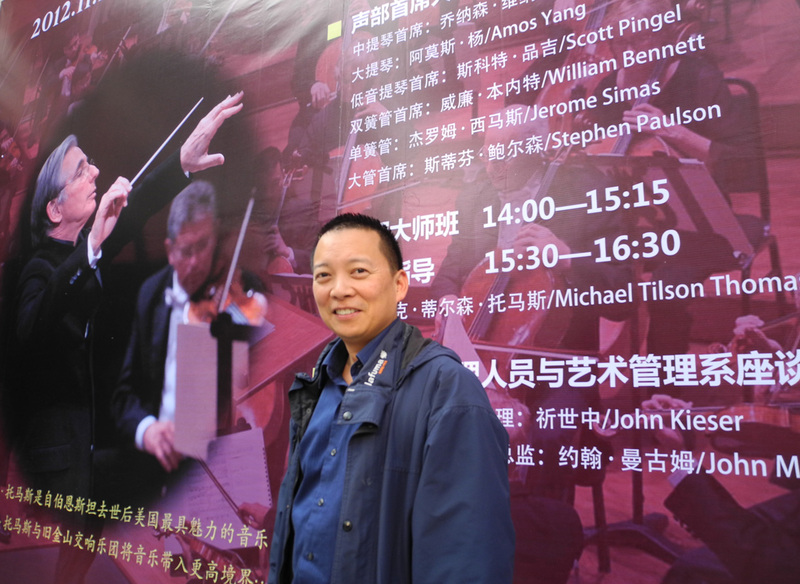 Cellist Amos Yang was among those at the Conservatory, standing here in front of the giant billboard announcing the classes. Amos will also be teaching master classes in Beijing and will report in via video from the Central Conservatory there. Stay tuned. 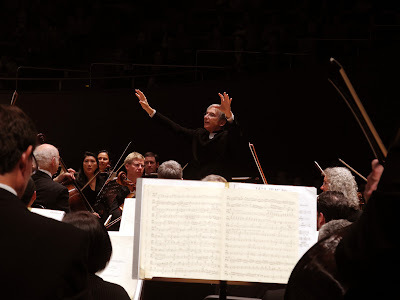 MTT spent time with the Conservatory Orchestra, working through Respighi's Pines of Rome. SFS General Manager John Kieser and Dir. of Artistic Planning John Mangum also offered their advice to Arts Adminstration students in an afternoon session at the Conservatory. 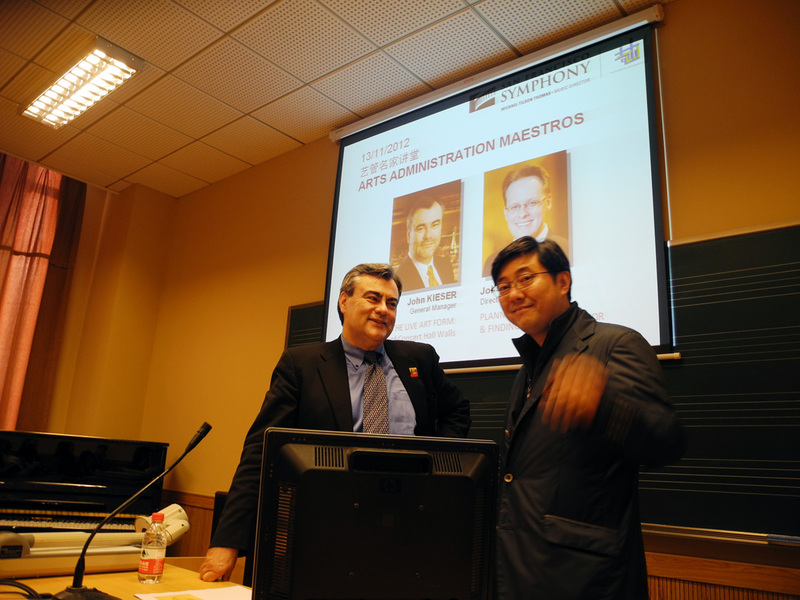 Pictured are John Kieser with the Vice Chair of Art Administration, Prof. Dr. Wang Yong. SFS Associate Principal Viola Jay Liu is a graduate of the Shanghai Conservatory, and returned for a visit. 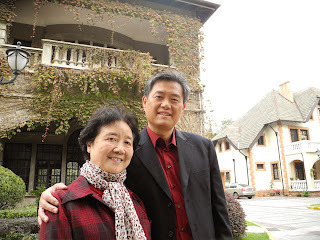 Pictured below with his viola teacher, Shen Xi-Di, who happens to be the mother of....Prof. Wang pictured above. Small world.